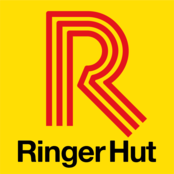 Ringer Hut started out in Nagasaki in 1963 with a restaurant named “Tonkatsu Hamakatsu”. Today, the chain operates around 100 Tonkatsu Hamakatsu restaurants and more than 550 Ringer Hut restaurants across Japan. Ringer Hut is named after Frederick Ringer (1838–1907), a British merchant who was a famous long-term resident of Nagasaki. Ever since its founding, Ringer Hut has constantly taken care to use fresh ingredients for its meals so that they are high-quality and tasty, providing healthy food that customers can eat with ease of mind. Today, our Nagasaki champon and sara-udon are loved by lots of people across the whole of Japan. As in the past, we will be working to heighten our quality and service over the future, so that people overseas also can enjoy cuisine of Japanese quality. Nagasaki champon is a healthy and tasty dish with a rich nutritional balance. Ringer Hut’s goal is to turn it into a day-to-day food for the whole world.